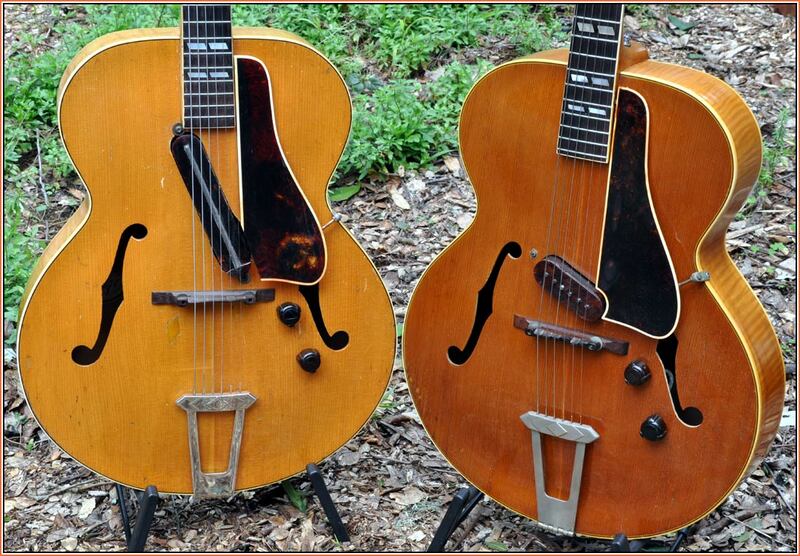 Here are a couple vintage ES 300 guitars, one with the long version of the pickup and one with the short. I have no idea what they were thinking when they designed this! To be honest, the long version really doesn’t even sound that good. On top of this, the original design was made in such a way that you can’t get them apart to repair them. (Our replacements can be taken apart a little easier, but even then they are not really intended to be serviced easily – that’s just the nature of this beast.) 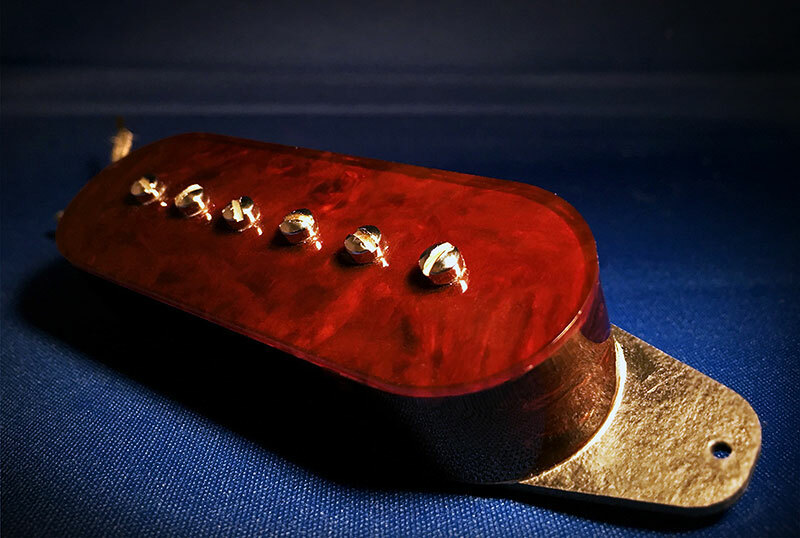 We really enjoy working with repair shops to recreate pickups no one else makes to restore vintage instruments such as these. Over the years whenever a vintage pickup has come in for repair that could be made by hand without extensive tooling – such as stamp and die or injection molds are required – I’ll draw up the entire pickup in a CAD program, so we could reproduce them if needed. This allows us to increase consistency of the products we build, while lowering costs and reducing turnaround time for our customers, and it’s just another way we try to do whatever we can to offer a level service that goes above and beyond. If you have a custom need or a vintage restoration project that we might be able to assist you with, give us a call or email to see what we can do. This entry was posted in Custom, Miscellaneous, Repair, Reproduction and tagged Custom, electric, ES 300, gibson, guitar, hand made, Lollar, Pickup, pickups, vintage by Jimmy Davis. Bookmark the permalink.